There was probably never a time when Waldo did not play with words in some form or another. When they were children, Waldo, and his sister, Morvydd, were forever writing poems. Morvydd would admonish Waldo for being too liberal in his use of adjectives adding that he would never make progress as a poet until he got rid of them. Their poems were written in English. In jest on one occasion their uncle Gwilamus, himself a poet, questioned their ability to compose and set them the task of writing a stanza based on the broth basin on the table. This was their effort: The basin stands on the table And beneath it lies the cloth. And well is the basin able To hold a basinful of broth. Waldo won his first eisteddfod prize when he was 17 at Maenclochog but it appears he never really set his sights on winning major prizes at the National Eisteddfod. He began composing a long poem to be entered for the crown competition at the 1929 Liverpool Eisteddfod but it was never completed. He wrote a draft ode for the 1936 Fishguard Eisteddod on the subject ‘Tŷ Ddewi’ (St Davids). His unfinished ode was submitted unbeknown to him by his close friend, D. J. Williams and all three adjudicators placed Waldo’s effort a close runner up with the criticism that it was littered with elementary mistakes although superior in its content to all other entries. 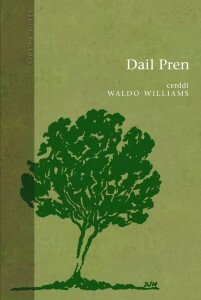 When the ode was later polished and published in the volume Dail Pren it was regarded by many as being far superior to the majority of winning odes at the National Eisteddfod over the years, as the poet’s ability was shown at its most refined as he expressed his deepest thoughts. As far as we know Waldo never entered any of the National Eisteddfod competitions in later life although he regularly adjudicated many of the major competitions with his customary perception, even though he once deemed a sonnet that was one line short of the usual number worthy of a prize.